Rüdinger Freight Forwarder Germany: You as our valued customer are the center of our activities. Your requirements and tasks are our aim and goal to get better every day. Developing solutions not only in transportation but also in equipment such as special vehicles is our constant business to satisfy customer needs. The challenge for us is to tailor our solutions in a mixture between organization and technique. Rüdinger Spedition GmbH, which is Rüdinger Freight Forwarder Germany is a family owned business since 1930. 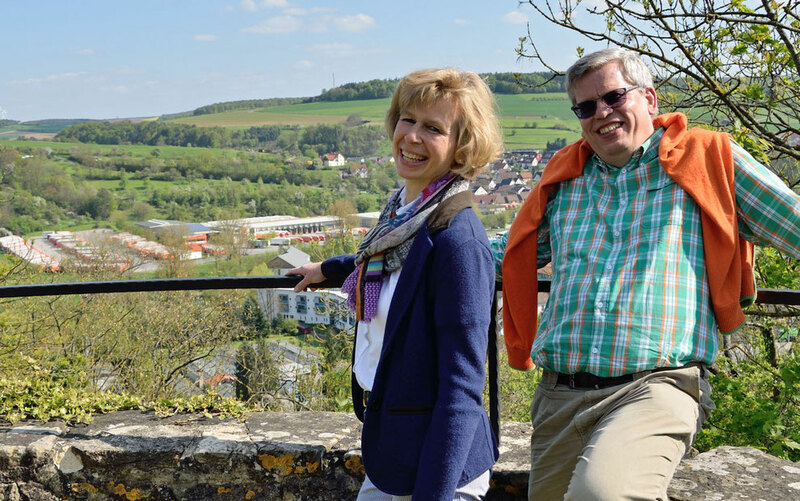 Since 1999 Anja and Roland Rüdinger are managing directors and are actively engaged in day to day operations. Next to this Roland Rüdinger is Vice President of the local Chamber of Commerce as far as infrastructure for mobility/transportation and traffic management is concerned. A family owned business means, Roland Rüdinger cares about your merchandise. Plus he is interested in a very personal contact to both his customers and his employees. The "good old days", back in the 1950s, when Rüdinger Freight Forwarder Germany was still a small company and international air freight and ocean freight were no subject yet. 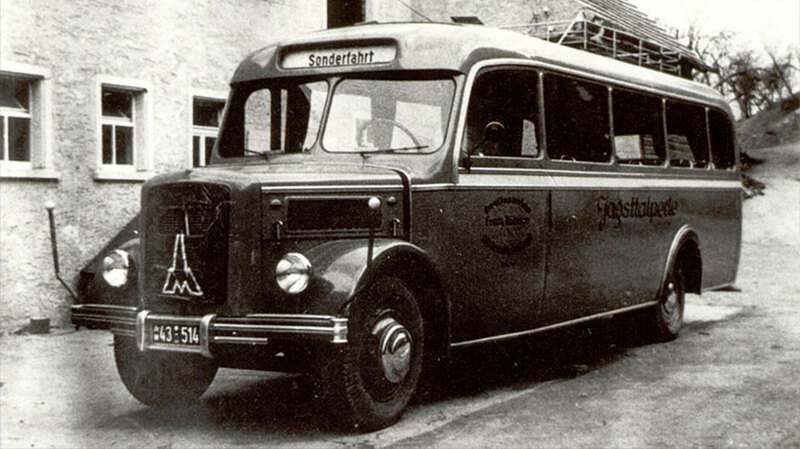 Still today Rüdinger Freight Forwarder in Germany operates 20 buses: The picture is a reminder of the beginning back then. Today Rüdinger Freight Forwarder Germany is a powerful partner for many customers abroad and specializes in air freight, ocean freight, container transportation, customs services, and storage. Serving the region with the most world market leaders – which is the county of Hohenlohe, a part of Baden-Württemberg, which is a Federal State in Germany – Rüdinger Freight Forwarder Germany is proud of adding a new facility almost every year for decades. 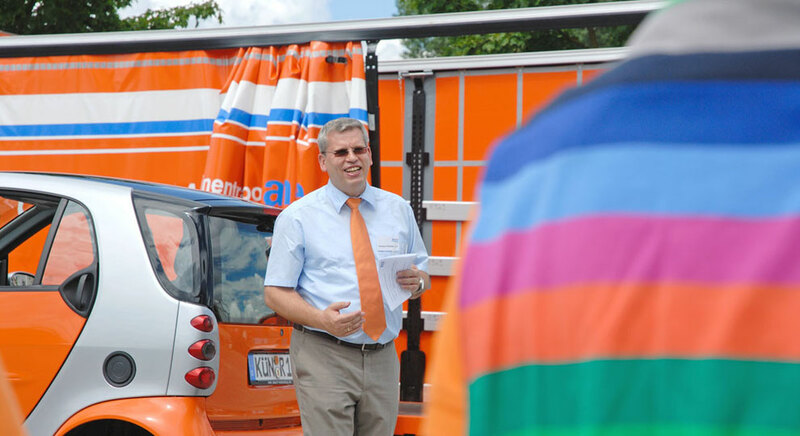 Rüdinger Freight Forwarder Germany: We operate 180 own vehicles and employ 450 people. 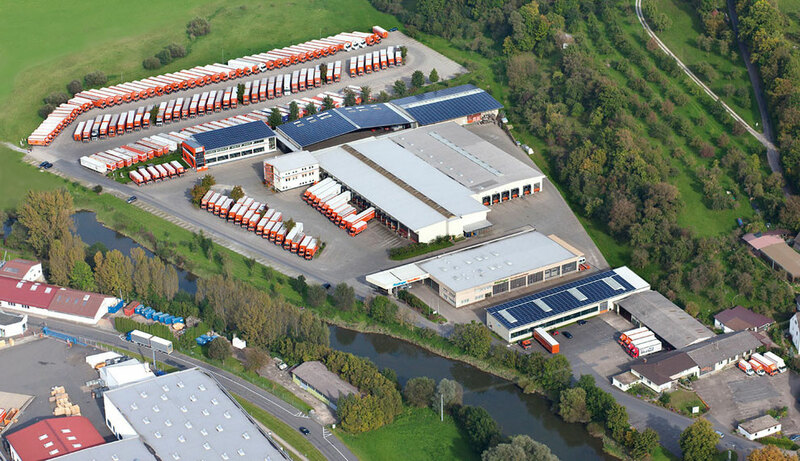 The picture above shows the Rüdinger Freight Forwarder Germany's headquarters and a part of the vehicle fleet.